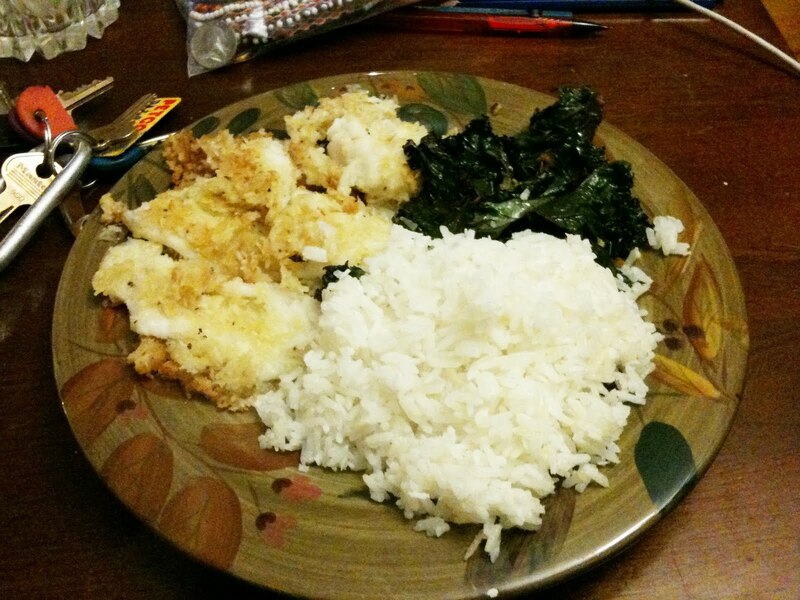 Last night i made the most delicious fish covered with coconut, and rice cooked with coconut, and some kale! it was a coconut inspired meal. anyways its really easy to do. 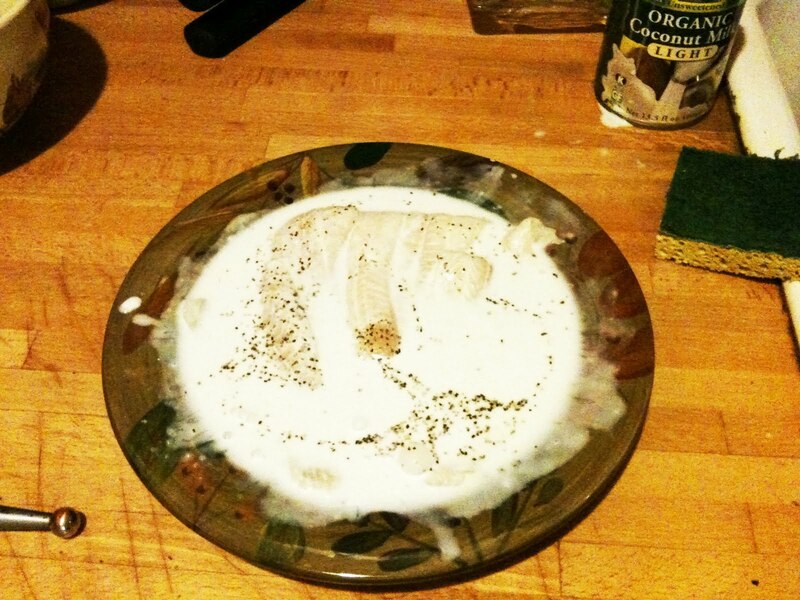 First i let the fish sit in some coconut milk with salt and pepper for like 30 minutes. while this was sitting i prepared the kale. 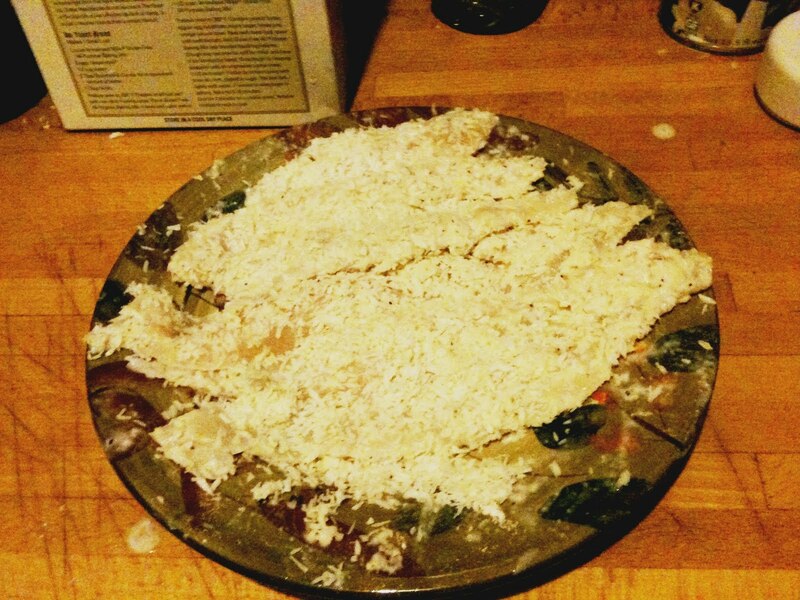 i just cut it roughly, chopped up some garlic, and chopped up some ginger. i’ll be back to that in a little bit. if you time it right, the kale, the fish, and the rice should all be done at the same time! Thanks for posting this! It's a great recipe I especially like the flakey breading!